In order to customize the right technique for each person Dr. Jeremy Brook studied with several chiropractic masters. The list below is a brief explanation of the techniques he uses to adjust and correct one’s subluxations. This will involve any of a number of specific adjusting techniques, such as full spine, gonstead, & HIO, with the addition of a philosophy which emphasizes the role of the Innate Intelligence of the body in the healing process. It will not utilize any therapy other than hand adjustment. A specific technique for adjustment of the full spine on a special table which has a slight drop in the cushions to improve the effectiveness of the adjustment without as much force into the patient. A specific method for full spine adjusting utilizing the use of full spine x-rays to locate spinal mis-alignments. A specific adjustment of the upper cervical spine… the upper part of the neck, closest to the brain.This technique utilizes a side posture table with a cervical head piece which makes a slight drop when the adjustment is given. Developed by my mentor Dr. Arno Burnier. It is an advanced technique that involves visulization, motion palpation, and advanced delicate adjusting. An examination procedure used to test the mobility of spinal joints by feeling for movement between the vertebra. It is a small had held impact tool in which a quick impulse is applied to correct a vertebral mis-alignment according to a set pattern. The Vertebral Subluxation Complex is the underlying cause of many health problems. Concerning the vertebral bones of the spine. When there is no interference, your nervous system controls the healthy function of virtually every cell, tissue, organ, and system of your body. (Spinal Kinesiopathology) The bones of the spine have lost their normal motion and position. This can restrict your ability to turn and bend. It sets in motion the other four components. (Myopathology) Muscles supporting the spine can weaken, atrophy, or become tight and go into spasm.. The resulting scar tissue can change muscle tone, requiring repeated spinal adjustments. (Histopathology) A rise in temperature from an increase in blood or lymph supply can result in swelling and inflammation.. Discs can bulge, herniate, tear; or degenerate. Other soft tissues may suffer permanent damage. (Pathophysiology) Bone spurs and other abnormal bony growths attempt to fuse malfunctioning spinal joints.. This spinal decay, scar tissue, and long-term nerve dysfunction can cause other systems of the body to fail. For all you frequent fliers out there, check out this video to minimize spinal stress while flying on an airplane, so that when you arrive to your destination you will have worked all the “kinks” out and be pain-free. 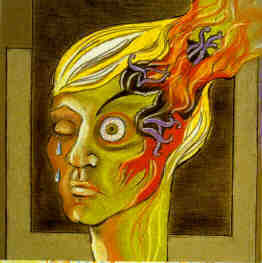 Nothing is worse then spending your vacation struggling with pain, headaches, or extreme moodiness! The now famous “Cervical Salutations” along with other movement and breathing sequences are demonstrated. Some estimates suggest 25% of the population has a headache right now! A frequent and overlooked cause of headaches is the malfunction of spinal bones in the neck and upper back. When bones of the spine lose their normal position or motion, sensitive nerves and blood vessels to the head can be affected. When spinal nerves and related tissues are stretched or irritated they can produce throbbing headaches. Aspirin and medications may cover up these warning signs, but do not correct the underlying cause. If a thorough examination reveals reduced range of motion, loss of normal spinal curves, or mechanical restrictions, chiropractic care should be considered. After a complete explanation, you’ll receive a care program designed for your unique spinal problem. https://thelifecenterchiropractic.com/wp-content/uploads/2017/07/TLC-web-header-logo-1.png 0 0 Jeremy https://thelifecenterchiropractic.com/wp-content/uploads/2017/07/TLC-web-header-logo-1.png Jeremy2010-11-21 04:25:272011-02-21 04:59:56MIGRAINES AND HEADACHES STINK! Lubricate Your Spine with the Cervical Salutations! https://thelifecenterchiropractic.com/wp-content/uploads/2017/07/TLC-web-header-logo-1.png 0 0 Jeremy https://thelifecenterchiropractic.com/wp-content/uploads/2017/07/TLC-web-header-logo-1.png Jeremy2010-09-23 04:58:562010-09-23 04:58:56Lubricate Your Spine with the Cervical Salutations! Let’s get right to it….People want health. But health requires discipline. One of the main problems with our current health consciousness and health care system is that the majority of people take short cuts because they don’t want to do the work. Health takes effort and is a byproduct of being aligned with nature and all of its known and undiscovered laws. Here’s the deal….come close….Health has been miserably taught and practiced for decades. People want it but have difficulty applying its simple principles because they don’t know where to begin. They are confused how to feed their bodies and minds. We need to rehabilitate our heath care tradition to improve the transmission of life energy through our bodies and to the next generation. You see …the process of achieving and maintaining health can be transformational. To transcend we require alignment on all levels…physical, emotional, mental, social, financial, sexual, and psychic. Optimal alignment takes energy, discipline, and will power. With optimal alignment our bodies can adapt normally and efficiently to the flow of life around us. The Life Center Chiropractic has a vision of health & wellness… and we stick close to it. We even have a manifesto to support our philosophy, science, and artistic expression. Now if you are currently being served at our office…Thank you for allowing us to serve you! If you aren’t currently under chiropractic care and are interested in getting your spine checked, aligned and moving with grace and ease…give us call. We’d love to be your chiropractic home! So until we see you in person… have a spectacular day! P.S. Enjoy this music clip from Rage Against the Machine called Take the Power Back. If this doesn’t fire you up, it’s because of one of two things….#1. You hate hard rock or # 2. You hate hard rock. It fires me up….so I hope you get inspired by the song’s the raw energy! Be warned …. there are a couple bad words sprinkled throughout the song. https://thelifecenterchiropractic.com/wp-content/uploads/2017/07/TLC-web-header-logo-1.png 0 0 Jeremy https://thelifecenterchiropractic.com/wp-content/uploads/2017/07/TLC-web-header-logo-1.png Jeremy2010-08-30 03:47:092010-08-30 03:47:09Take the Power Back! A chiropractor’s viewpoint on the health of Headstand for the spine. If you love to practice yoga you may desire to watch this short video. It could change your life…and the life force that flows through your body. If you practice yoga in Los Angeles, Venice, Santa Monica, or in the nearby vicinity, come and get your spine checked at The Life Center. Your yoga practice won’t be sorry. How to effectively lift your baby carrier with proper form to prevent injury. A great way to cross train. 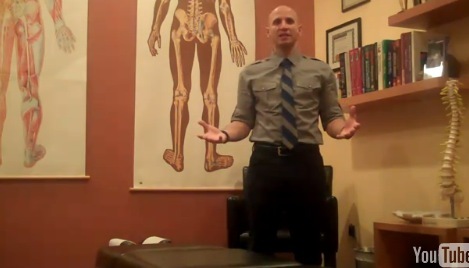 Video by Los Angeles Chiropractor, Dr. Jeremy Brook. This past April I began my training with the ICPA, International Chiropractic Pediatric Association, by becoming certified with the Webster Technique. Check out what Dr. Jeanne Ohm has to say about it! Written by Jeanne Ohm, D.C.
You have seen the Webster Technique — that chiropractic technique to help pregnant mothers with breech babies — featured on The Learning Channel’s hit series “A Baby Story.” You have read about it in Mothering magazine and Midwifery Today. You have seen it on the Internet. You have heard it talked about by birthing professionals. Perhaps potential patients have asked you about it. But what is it? The Webster Technique, discovered by Dr. Larry Webster, founder of the International Chiropractic Pediatric Association (ICPA), is a specific chiropractic adjustment for pregnant mothers. 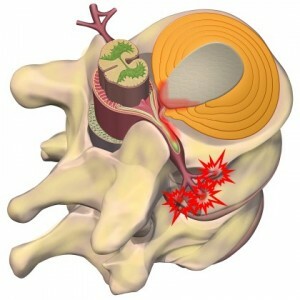 It is a chiropractic technique designed to relieve the causes of intrauterine constraint. Formerly known as Webster’s “In-Utero Constraint Technique” or “Webster’s Breech Turning Technique,” the Webster Technique was developed by Dr. Webster in 1978. For over 20 years, it has been highly successful in relieving intrauterine constraint and allowing babies to get into the best possible position for birth. What is intrauterine constraint? Intrauterine constraint is defined as any forces external to the developing fetus that obstructs the normal movement of the fetus. Intrauterine constraint can prevent the developing fetus from attaining a head down vertex position and achieving a vaginal birth, resulting in cesarean section delivery. Today, nearly 13% of all cesarean deliveries performed are due to breech presentation. In 1985, the World Health Organization (WHO) proposed 15% as the highest acceptable limit for cesarean section rates. This figure was based on the cesarean section rates of countries with the lowest perinatal mortality rates in the world. In 1991, the figure was adopted as a goal for the year 2000 by the United States Department of Health and Human Services. Currently, approximately 4.6 % of all singleton pregnancies develop into breech presentation and the incidence of perinatal mortality with breech presentation is approximately four times that of a vertex presentation. While many infants in breech presentation before 34 weeks will convert spontaneously to a cephalic presentation, few will do so afterward. Decreasing the number of caesareans for breech presentation has been offered as a strategy to reach the Healthy People 2000 goal of 15% cesarean section rate. The importance of preventing intrauterine constraint and subsequent cesarean section delivery is apparent, considering in the United States approximately 22% of all births were cesarean section deliveries. In Canada the incidence of cesarean section ranges from 15%-22%, depending on the province. The Webster Technique is a chiropractic means of decreasing the number of cesareans for breech presentation.